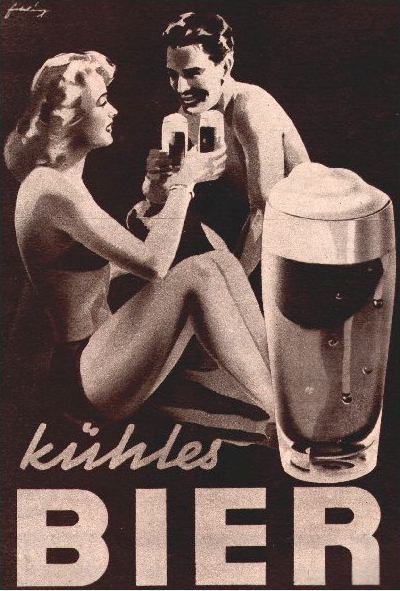 Beer In Ads #2959: Beer – A Power Source! 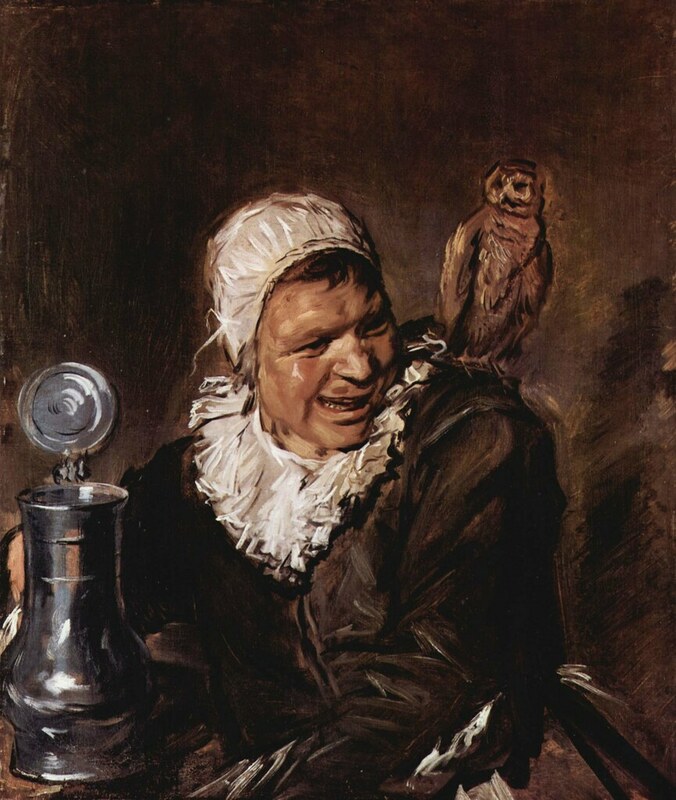 Below is the original painting by Frans Hals, which currently hangs in the Gemäldegalerie, located in Berlin, Germany. Lagunitas Brewing Co. was one of the first breweries that I got to know well, shortly after becoming the beer buyer for the chain store Beverages & more in 1996. Ron Lindenbusch, who’s still at the company, was one of their earliest employees and he called on me at BevMo, inviting me to come for a visit to the brewery, I think in Forest Knolls. This was before their present location in Petaluma, but after they stopped making beer in founder Tony Magee’s kitchen, so brewery number 2, I suppose. Somewhere, I have photos from that visit. That’s where I first met Tony, and he’s been one of my favorite people ever since. I like that he says what he’s thinking, unvarnished, even though that’s ruffled some feathers more than a few times. But he’s also one of the most fascinating people to spend any time with, because his mind races from topic to topic in a form of stream of consciousness that I very much relate to. Since I tend to think in tangents, as well, I’ve always valued any chance I get to have more than a passing conversation with him. A few years ago, in 2012 I believe, Beer Connoisseur magazine asked me to write a profile of Tony for their Innovator’s Series. So I met him for lunch at a bar that he chose near the brewery and we ended up talking on a myriad of subjects for nearly three hours. Between that, other research and what I knew about Magee and his brewery already, I wrote a 3,500-word profile which I was quite happy with. During our conversation, he told me the story of how Lagunitas IPA came to be, and how he deliberately set about to make it his brewery’s flagship beer, and more importantly, to essentially “own the category” after a fashion. A few sentences of that made it into the final article, but because the focus was on his entire career, it was brief. Luckily, I have our whole conversation on tape, so I went back to listen to it again, or at least the relevant parts where he was explaining his rationale for making his now-iconic flagship IPA. 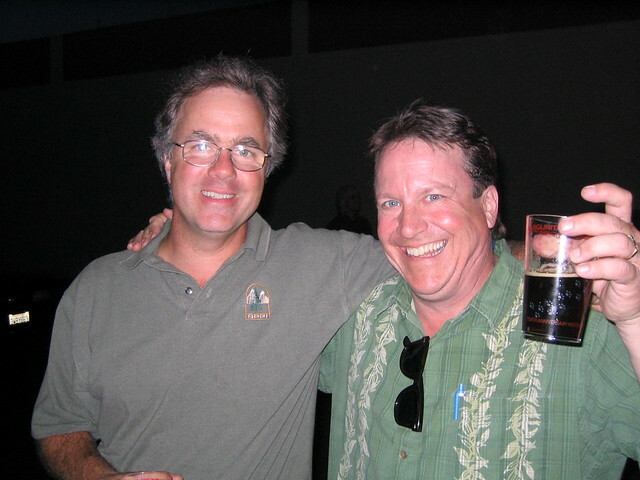 Tony Magee and Ron Lindenbusch at the 10th Anniversary Party for Lagunitas in 2004. While the article itself began, “We were somewhere around Petaluma on the edge of Sonoma when the beer began to take hold,” the interview was far less dramatic. We took a seat at a table, ordered a pair of Lagunitas IPA pints, and looked over the menus. We chatting amiably, catching up, and then I started asking questions. And this is a little background from that. 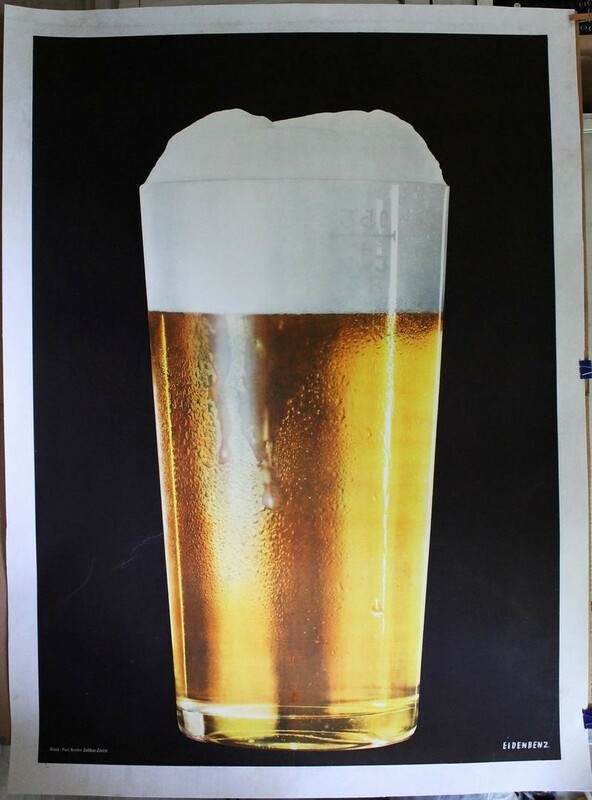 Tony Magee’s first successful homebrew effort was a pale ale, brewed with Chico yeast, which he heard was originally acquired from Ballantine, one of the few breweries still making an ale before the microbrewery revolution. He rented some space down the street from his kitchen brewery, and Lagunitas Brewery was born. Ron Lindenbusch, who in the early 1990s worked for distributors, stopped by the brewery and was immediately hooked, becoming something like employee number four or five, but apart from Tony and his wife Carissa Brader, is the oldest Lagunitas employee, followed closely behind by Robin McClain, who today is the controller. 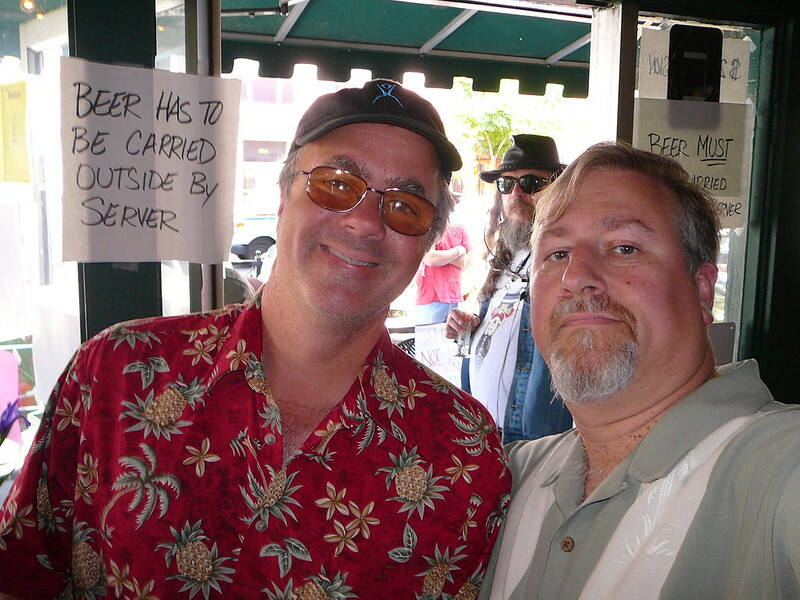 Tony Magee and me at the Bistro IPA Festival in 2006. At around an hour and forty minutes into lunch, our conversation turned to Lagunitas IPA. Not long after moving to the second brewery, they outgrew the space again in Lagunitas, and found larger quarters in nearby Petaluma, several miles east and north from West Marin, in Sonoma County. Things changed fairly rapidly after the initial move, especially after the focus on pale ale shifted to IPA. When we moved to Petaluma, I realized we were going to have to start growing pretty quickly, because costs went up. So I figured we had to bottle. From the moment we released the pale ale, the market was starting to move with our product, I saw this path forward with the IPA. I realized then — this is 1995 — that IPA was the future of the craft category. It was the highest mark on the tree. So we would just aim for that. Sierra Nevada made a pale ale. I didn’t want to compete with Sierra Nevada, it would have seemed like bad behavior anyway, and I was selling [Dogtown Pale Ale] because I knew that there were some customers that would be willing to trade over some number, low-hanging fruit. But it wasn’t to try to prey on their business. Even so, I couldn’t have gotten a tap handle if I wanted it. But then something happened. There was a restaurant in Sausalito (in Marin County) called Margaritaville (which is no longer in business). 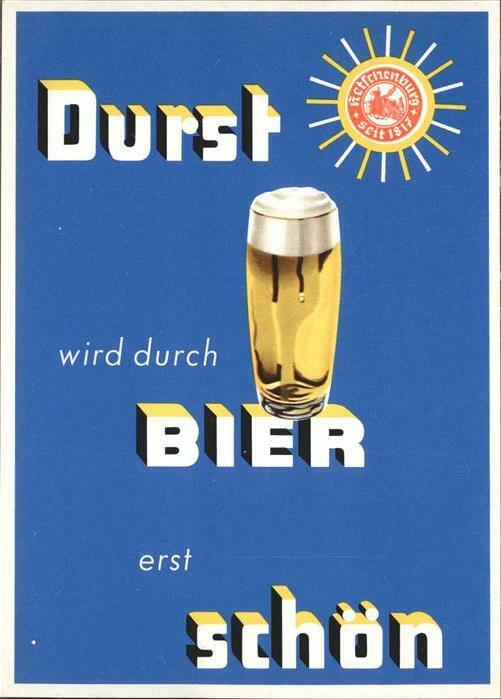 And for some reason, they got into an argument with one of their distributors, who at that time was Mesa Distributing. And as a result, they pulled Sierra Nevada Pale Ale from the place, even though as far as I know it wasn’t Sierra Nevada’s doing, and replaced it with Lagunitas Dogtown Ale. Immediately, Margaritaville started going through five kegs of Dogtown Pale Ale a week, which was unheard of for it at the time. Tony thought, “this is not because of my beer,” and went there to investigate. So he sat at a table and just observed people ordering from the bar, and what he found was that people were not coming in and ordering a Sierra Nevada, or even a Sierra Nevada Pale Ale. What they were ordering was a pale ale. And it didn’t really matter if it was Dogtown Pale Ale or Sierra Nevada Pale Ale. I should qualify that. I’m sure it mattered to Sierra Nevada, but it didn’t matter to the customer. They just wanted a pale ale. Essentially, Sierra Nevada, at that time and in that place, owned pale ale. And that was a revelation to Magee, who figured he couldn’t really compete with that, and concluded he had to figure out another way. Here was his thought process. So I realized that was a bad way to go. That was a path without a heart, to try to prey on somebody else’s business. So I thought, you always want to be selling up, so I thought, what’s a premium pale ale? Well, an IPA. I looked around. There was BridgePort, but they were hardly down here [in the Bay Area]. There was Anderson Valley making their 100-IBU IPA [Hop Ottin’]. So I just realized there was an opportunity to move through that space — an open field run — and gain a foothold in the market. That others would have to sell around us, when they came to the market. And it worked out that way. The packaging I did with the IPA as bold as I did because I realized in that pale ale moment that Sierra Nevada brewed pale ale as a brand, while we could only brew it as a style. And so when I did IPA, I wanted to try to brand IPA in whatever way I could, given our limited resources. So that is why the packing looks like it does. [On the label], Lagunitas is actually smaller than IPA. And so it worked out, at least around here. In some circles, there’s a number of IPAs that are in people’s minds. And we’re one of them. If a guy likes drinking in a little sphere of IPA, we’re probably somewhere hovering in an orbit around that idea. And it does appear that having a label that emphasized “IPA” over anything else did help people associate IPA with Lagunitas. It definitely became a huge brand here in the Bay Area and fueled their growth into numerous other states. 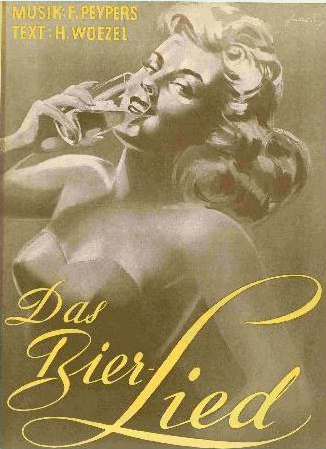 And that was true for quite some time, at least until IPAs became ubiquitous in the mid-2000s or so. 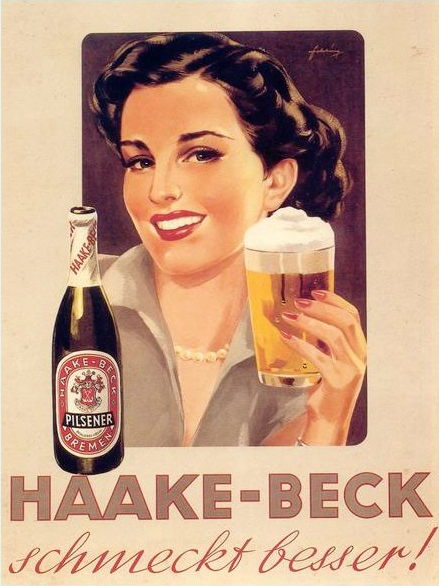 Opening other markets undoubtedly kept sales robust nationally, but eventually the market became fairly saturated with hoppy beers. And that may have helped Lagunitas for a time, as Magee explains. I didn’t realize everybody would be pressing so hard on the IPA category. This felt like a secret thing, but I realized when I made a pale ale, people might drink my pale ale, but what they would be doing all the time in their minds was comparing it to the one they knew and loved so in a way it was an uneven contest where I was helping to promote Sierra Nevada because the comparison would not always be favorable. Alright, so I like Sierra Nevada. They make such a beautiful beer that so consistent, so elegant. So I realized that if other brewers made a pale ale they’d promote Sierra Nevada. So my hope was that if we could be successful establishing our terroir around the IPA that as other brewers inevitably made IPAs it would help us out. I think it’s true, I think it’s working. The idea wasn’t to find a way to capitalize on other people’s efforts, but I was trying to find a way to live with what I could see coming, and I saw everybody making IPAs down the road. And so when they did I wanted to be sure that at least it carried us up. So we’ve been very diligent over the years about making sure that IPA maintains about 60% of volume of the beer we make. 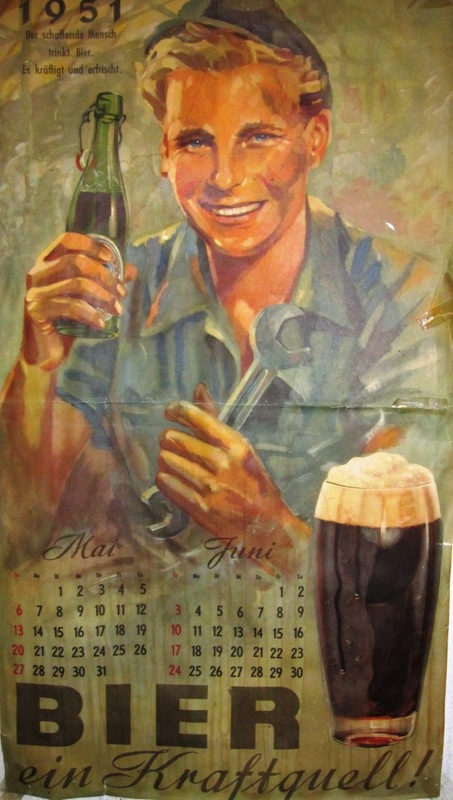 So all these other things we do are our pilot lights and they push the brand up and keep it exciting and interesting, and who knows, it could be that Little Sumpin’ or DayTime will overtake the IPA at some point. So we’ll continue to make the IPA in the way that Miller kept making Miller at the same time they were selling a lot of Miller Lite. Branding is as much a chess game as it is anything else. You have to try to think three or four moves out, because somebody else probably is, as well. I think the larger takeaway is that this is a case where a brewery had a definite plan to create a flagship beer for themselves, and which they executed quite successfully for a number of years. 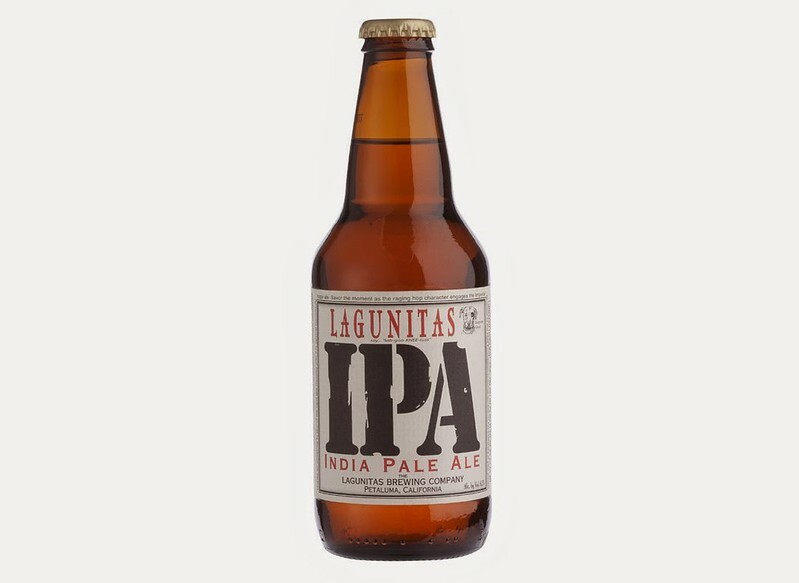 While there were, and are, countless other IPAs being brewed, Lagunitas did manage to become one of the most popular IPAs in their home market, as well as several others. And frankly, I hadn’t had one in some time before this February, when I managed to enjoy several throughout #FlashipFebruary. And I have to say, it’s still one damn fine beer. 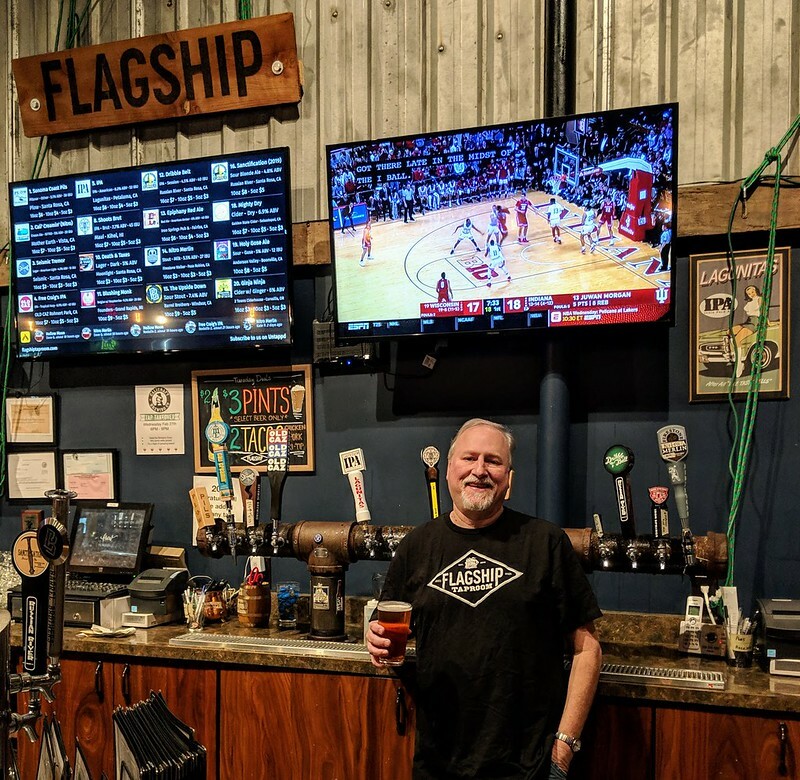 Having a Lagunitas IPA to end #FlagshipFebruary earlier this year at my favorite hometown bar, the Flagship Taproom in downtown Cotati. Earlier this year, Stephen Beaumont, with a little help from me, launched Flagship February, our effort to celebrate the beers that built the craft beer industry, flagships. Stephen wrote about Why #FlagshipFebruary and followed up trying to explain What is a Flagship beer? 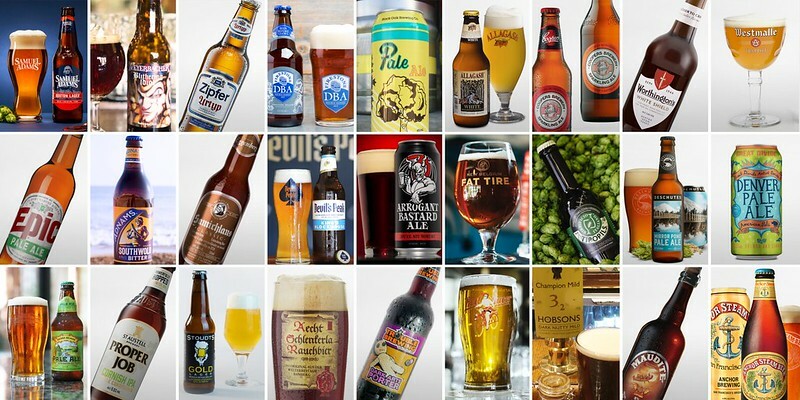 Stephen invited other beer writers from around the globe, and they stepped up, chose their favorite flagship beer, writing 27 essays about 27 different flagship beers. Another friend, Suzanne Porter, who co-founded Porter Hughes Design, did most of the heavy lifting and along with her team created a kickass website where each essay was posted, one per day throughout the month of February. 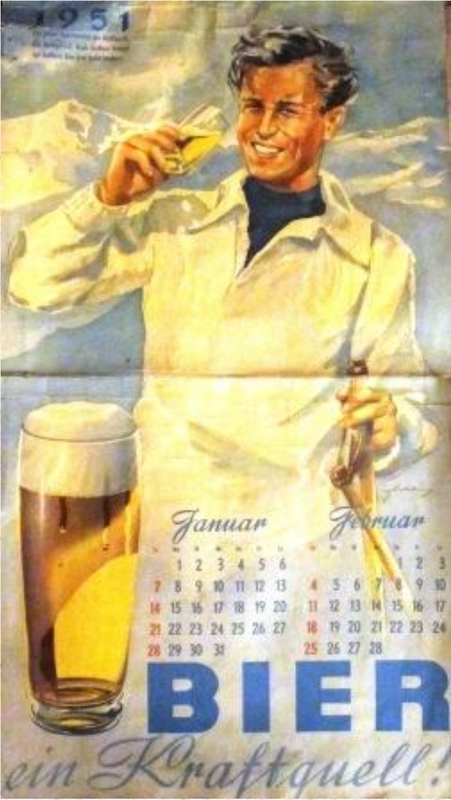 The website also included a calendar where bars, restaurants, etc. could sign up to tell the world they were hosting a #FlagshipFebruary event. And while quite a few did, many more just latched on to the idea and ran with it on their own. After the dust settled, we think most people seemed to enjoy the idea, and were supportive of our efforts. While I don’t fully understand the internet jargon about measuring websites, by the end of the month, there were 5,152 posts that mentioned #FlagshipFebruary, and our reach was 10,055,512 with 25,049,624 impressions. People who understand those numbers better than I do says that’s not too bad. It was quite a lot of work, and we spent a considerable amount of time devoted to the project. To help defray those costs, especially the design team, we reached out for sponsors, and a few did step up, most notably the Boston Beer Co. and New Belgium, who were flagship sponsors. But our sponsors also included Anchor Brewing, Brewery Ommegang, the Cicerone Certification Program, Great Lakes Brewery, and Henderson Brewing Co., and we’re grateful to all of them. In the final essay on February 28, Stephen and I wrote a back and forth dialogue about what we’d experienced and learned during the first #FlagshipFebruary. One of the things to come out of that was a desire to keep the conversation going. And so we decided on a monthly essay about a flagship beer, which we’re calling #FlagshipFriday. 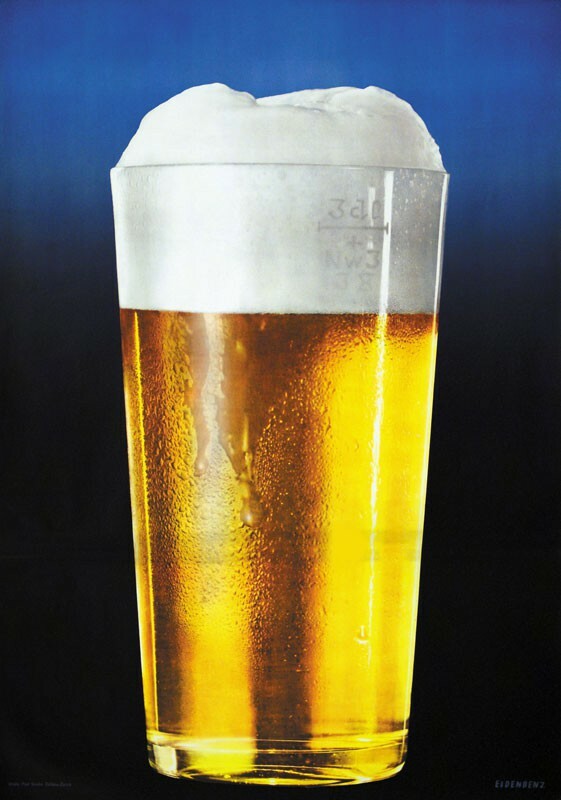 So the plan is simple, like The Session, on the first Friday of each month (excluding February, of course) we’ll invite anyone to write about a flagship beer of their choosing. And unlike the old Session, there’s no round-up to write. Stephen and I will spread the word on social media, and if everybody uses the hashtag #FlagshipFriday, we think we can keep people talking about flagship beers. 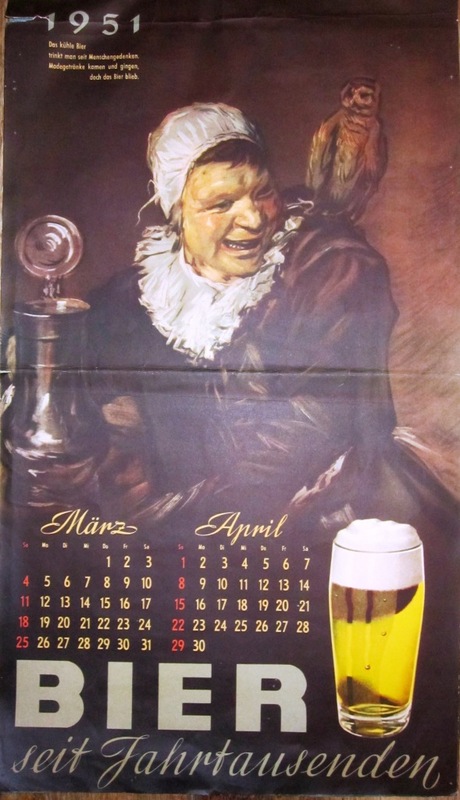 I’ll be writing the first one, which will be posted later today, and Stan Hieronymus has agreed to do the second one on the first Friday of May, which will be May 3. 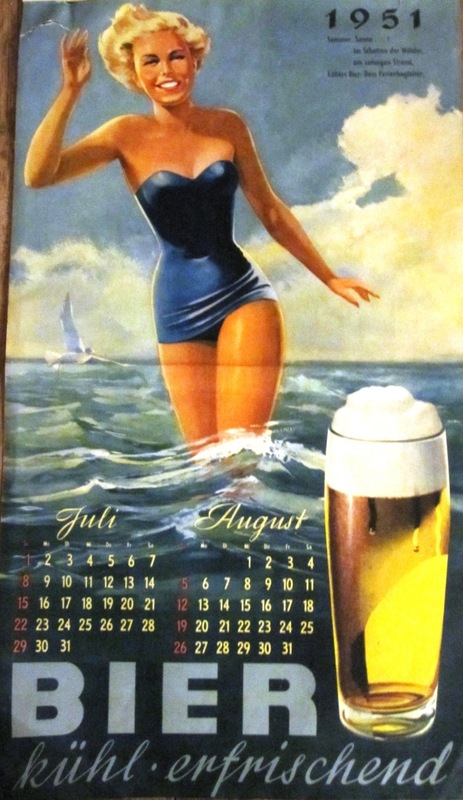 If you want to write about a flagship beer — any flagship beer of your choosing — check the schedule at the bottom of the page, and pick a month, then just let me know so I can reserve it for you. 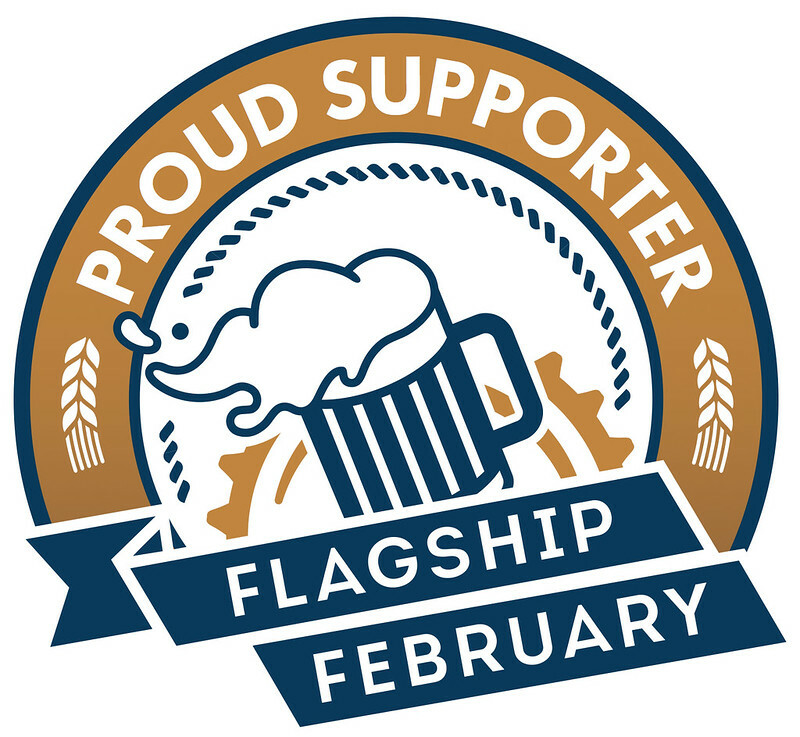 We’ll keep it going eleven times each year, since when February rolls around again we’ll be back in official #FlagshipFebruary mode. We’ll spread the word using the #FlagshipFriday hashtag to differentiate it from #FlagshipFebruary, and if you like the idea, too, then please help us share each month’s flagship post. 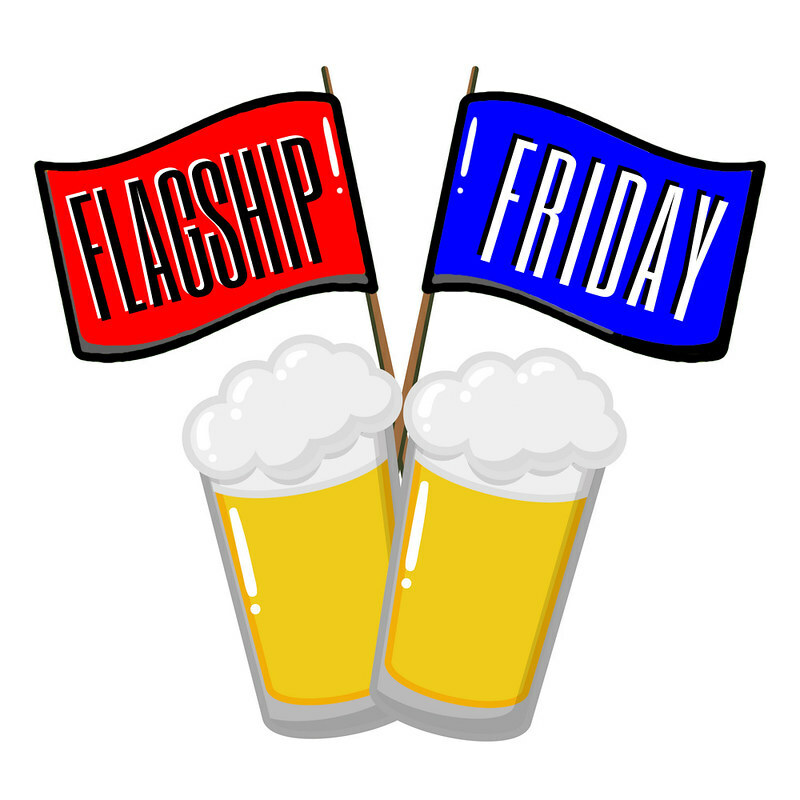 If you have a beer blog, website, or other platform, repost a link to the #FlagshipFriday post and spread it around. For now, welcome to the first Flagship Friday.